Retire those spreadsheets. 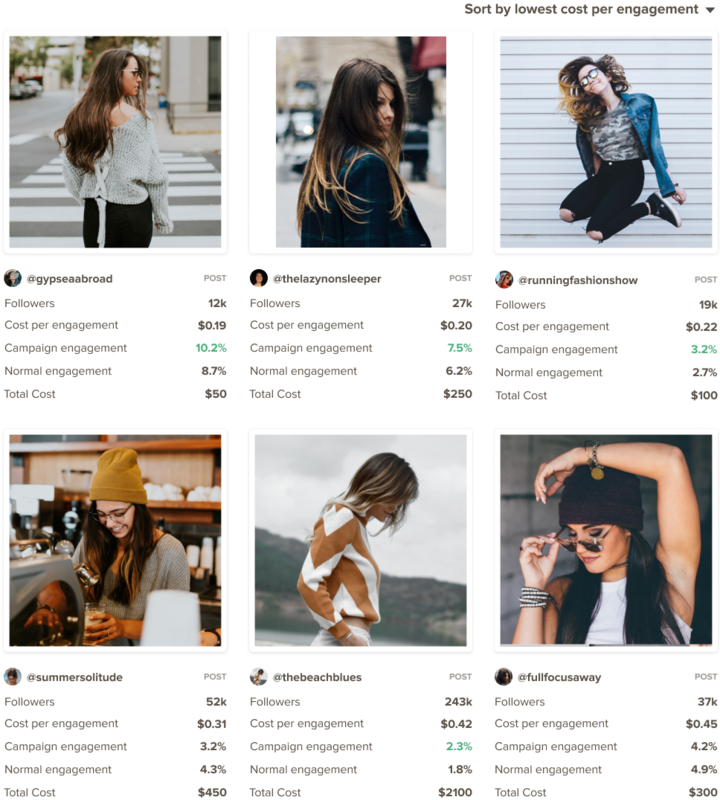 Real-time monitoring automates your Instagram influencer campaigns and analytics from start to finish. MightyScout notifies you whenever your hired influencers create a new post or story that mentions your account, hashtag, or location. Easily identify who's on time or late with their sponsored content. 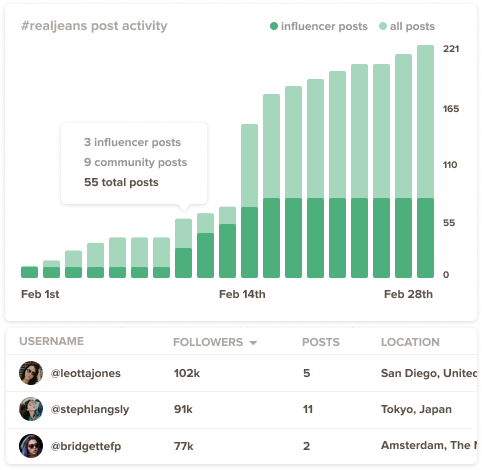 You'll never have to manually keep tabs on your influencers again. Instantly identify which influencers and posts were most successful so you know who to continue working with. Much is lost trying to use a spreadsheet to keep track of your campaign. Our unique visual grid gives you more insight into which posts succeeded and why, helping you improve future campaigns. Our customizable reports provide post-by-post breakdowns of total reach, engagements, and media value whenever you're ready to impress your boss or client. You'll never have to take a screenshot of a post and story again. Our reports are easy to make and always contain the latest data. Is your contest or giveaway performing well? Who are the most vocal fans in your hashtag? Is chatter around your brand increasing over time? Hashtag monitoring helps answer those questions in seconds. Get details on all the posts and content creators in any hashtag. Frisbi uses MightyScout to serve Fortune 500 brands and ambitious upstarts in beauty, fashion, and more. Their influencer discovery efforts alone are 400% faster compared to before. "These reports are easily digestible and really help demonstrate the value of influencer work. I love working with you guys and appreciate all that you do for us." You’re one step closer to painless influencer campaign monitoring.